How Will Quality Metrics Impact Pharma Companies? 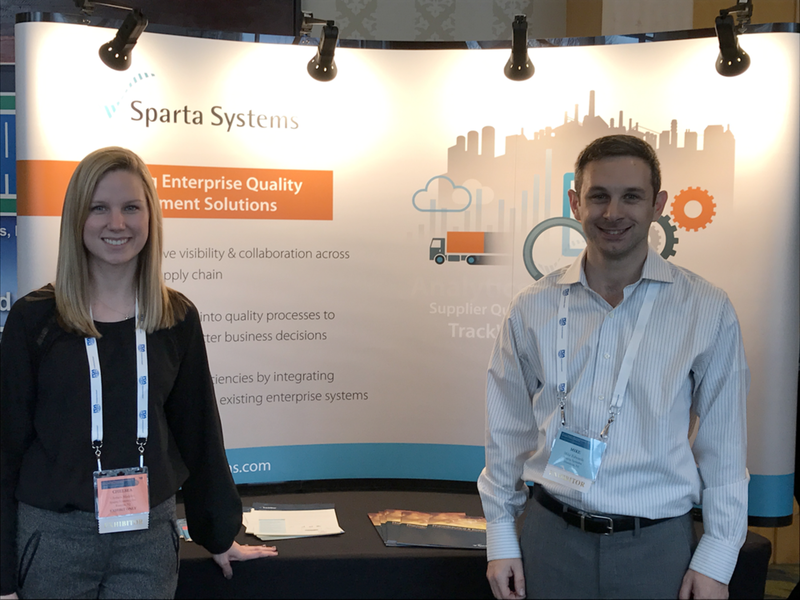 Sparta Systems attended Parenteral Drug Association’s jam packed 2017 Pharmaceutical Metrics and Quality Culture Conference a couple of weeks ago in Bethesda, MD. One thing was quite obvious at this year’s event -- the Pharmaceutical industry is taking the FDA’s guidance on quality metrics seriously. And the FDA wants to hear what industry has to say. One main theme was around what had changed in the FDA’s newest guidance, highlighting benefits to both patients and industry as well as challenges that pharma companies will face when it comes to implementing these new approaches internally and externally. Lot Acceptance Rate (LAR) as an indicator of manufacturing process performance. Product Quality Complaint Rate (PQCR) as an indicator of patient or customer feedback. Invalidated Out-of-Specification (OOS) Rate (IOOSR) as an indicator of the operation of a laboratory. The FDA also intends to launch an electronic portal in January 2018 for voluntary submissions of quality metrics data on a quarterly basis. A revised version of the Quality Metrics Technical Conformance Guide will be released shortly, and a few months later the release of guidance about the submission portal, estimated December 2017. Pharmaceutical companies may include up to 300 words of comment in their submissions, siting reasons for any significant disparities in the data but the comments section is optional. In the future, FDA may consider instituting a set of codes to standardize the comments. The industry had many concerns shared with the FDA during the conference. Many saw the execution of the initiative as missing the mark towards its stated goal of product quality. The metrics are good indicators, but often not as full of a picture of quality and risk as can be provided by quality culture and other qualitative measures, such as PDA’s Quality Assessment Tool pilot program. This quality assessment tool was created by PDA to assess quality culture maturity within a manufacturing site so that companies can perform internal assessments of their own operations as well as audits of their suppliers and contract manufacturers. A few pharma companies have participated since last May but PDA is looking for a broader acceptance and implementation of the tool in the months and years to come. What Are the Challenges of Quality Metrics? Many companies visiting our booth had concerns over the collection of data they don’t have available in their QMS or ERP system. Manufacturers of Finished Dosage Form (FDF) or APIs are ultimately responsible for the data collected from downstream suppliers. Collecting, reviewing, and stratifying supplier’s data into product or site submissions can be a daunting task. As of right now, the quality metrics initiative will remain voluntary and any pharmaceutical company willing to share their metrics data with FDA is welcomed and strongly encouraged, but there is no mandatory required metrics reporting for 2017. This does not mean that companies should sit back and wait for addition guidance or final ruling on quality metrics. In fact, manufacturers should be evaluation their quality systems, update the metrics, and prepare metrics data for submission. This is a perfect opportunity for the quality group to revisit and reassess their QMS processes. To learn more about FDA’s Quality Metrics initiative, download this whitepaper. Mike Edwards is a Product Manager for TrackWise EQMS and TrackWise Mobile. Mike joined Sparta Systems in 2009 and his responsibilities include defining market and business requirements, ownership of the end-to-end product lifecycle, and cross functional program management. Mike has a BS in Marketing from Monmouth University.